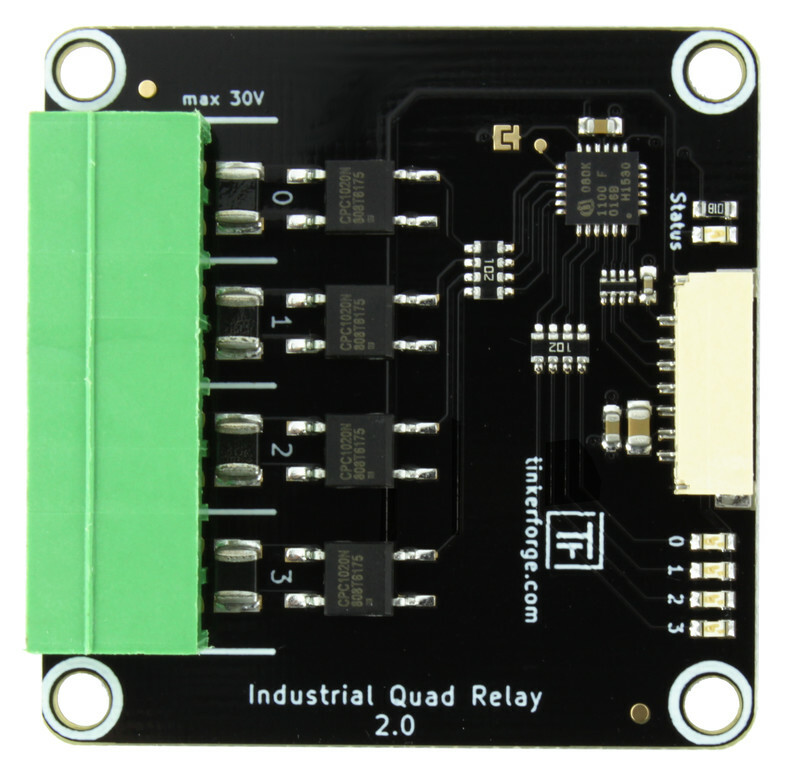 The Industrial Quad Relay Bricklet 2.0 can be used to extend Bricks by four galvanically isolated solid state relays. Each channel can switch currents of up to 1.2 Ampere with 30 Volt. 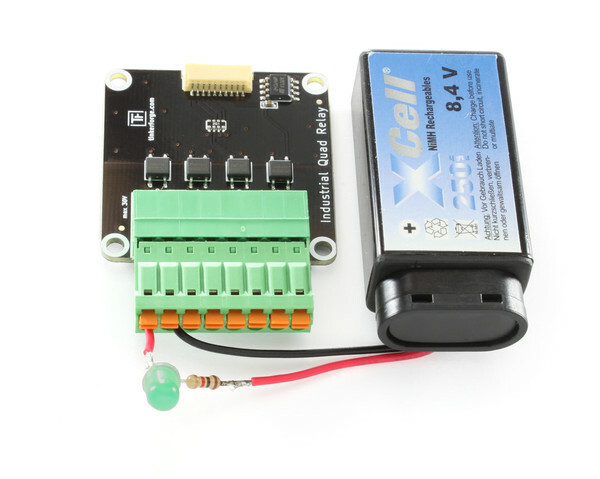 Output isolation permits the usage without a direct electric connection, such that ground loops can be prevented and an additional degree of safety is added. 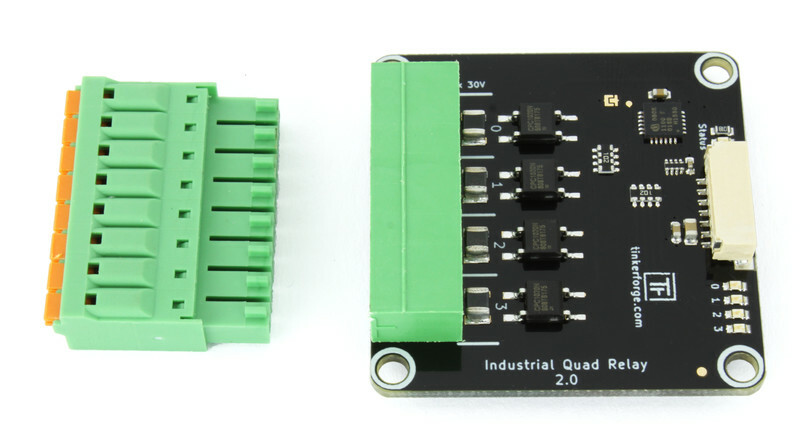 The Industrial Quad Relay Bricklet 2.0 has a 7 pole Bricklet connector and is connected to a Brick with a 7p-10p Bricklet cable. By default the channel status LEDs are on if the corresponding channel is switched on and off otherwise. 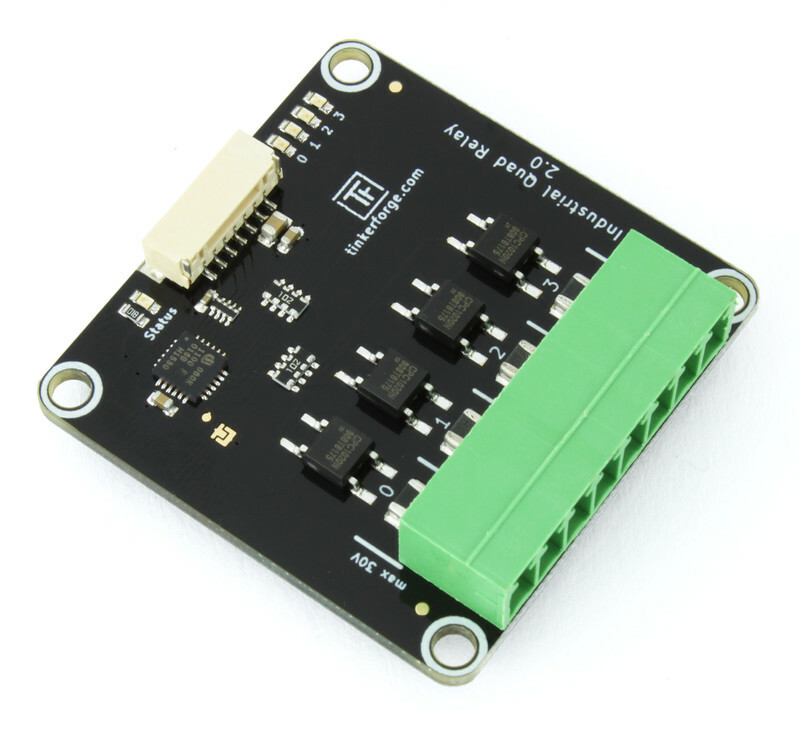 You can also turn each LED individually on/off and show other status information through the API. 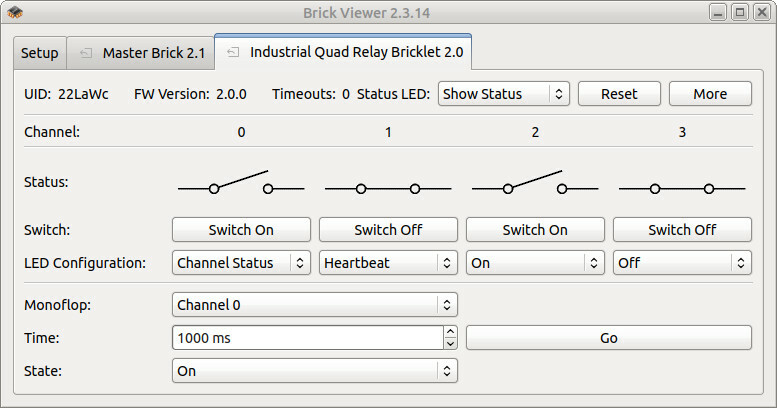 To test a Industrial Quad Relay Bricklet 2.0 you need to have Brick Daemon and Brick Viewer installed. 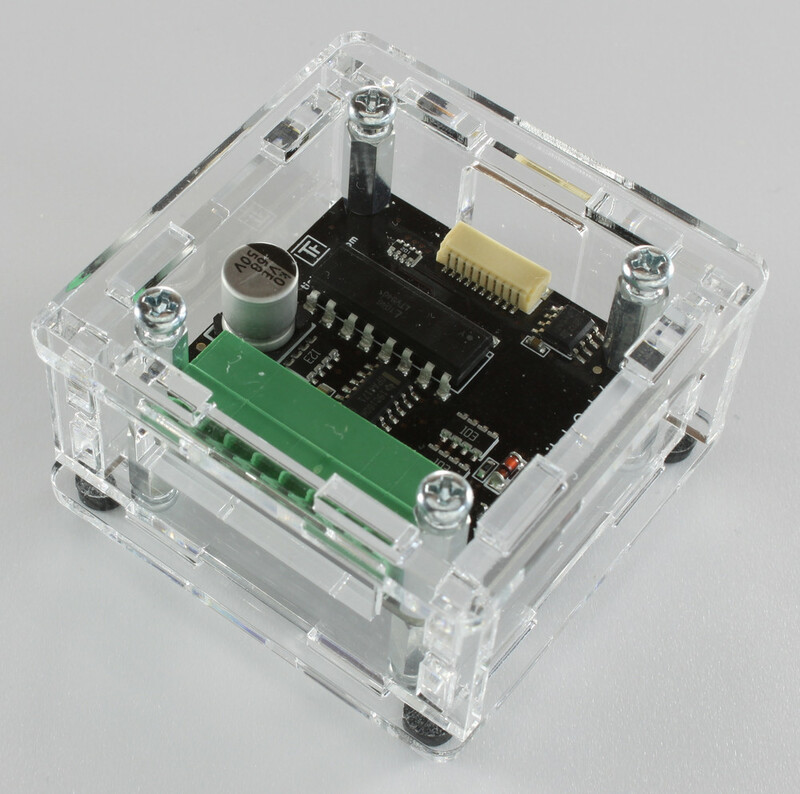 Brick Daemon acts as a proxy between the USB interface of the Bricks and the API bindings. Brick Viewer connects to Brick Daemon. It helps to figure out basic information about the connected Bricks and Bricklets and allows to test them. Connect the Industrial Quad Relay Bricklet 2.0 to a Brick with a Bricklet Cable. 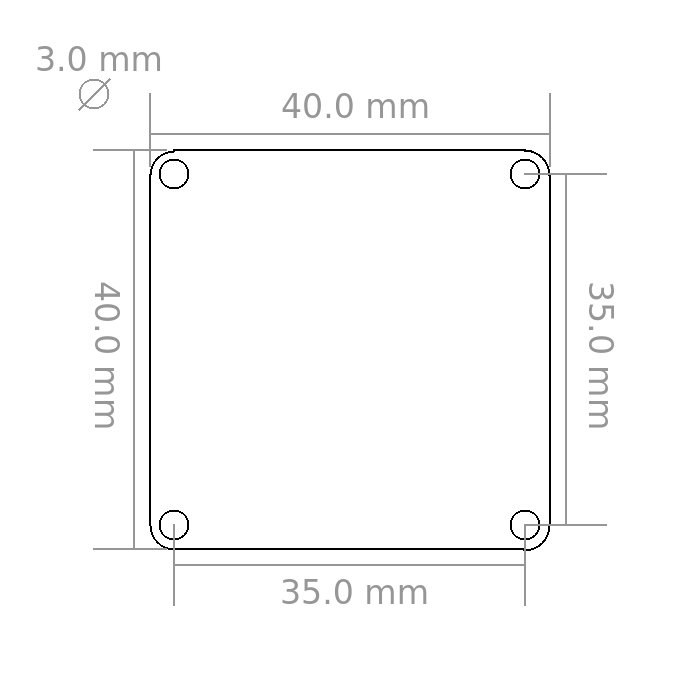 For a simple test we will connect a battery and a LED to test the Bricklet (see picture below). 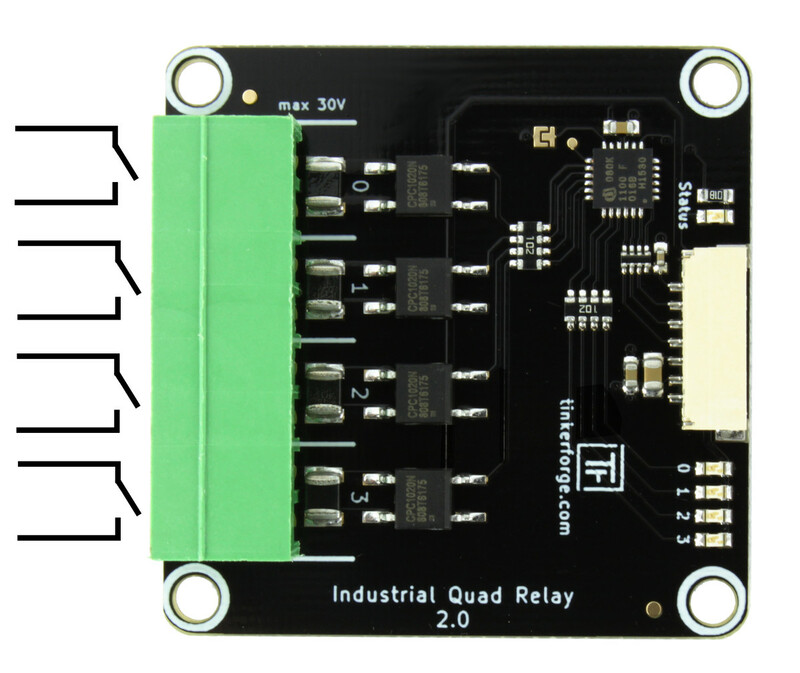 If you connect the Brick to the PC over USB, you should see a new tab named "Industrial Quad Relay Bricklet 2.0" in the Brick Viewer after a moment. Select this tab. After this test you can go on with writing your own application. 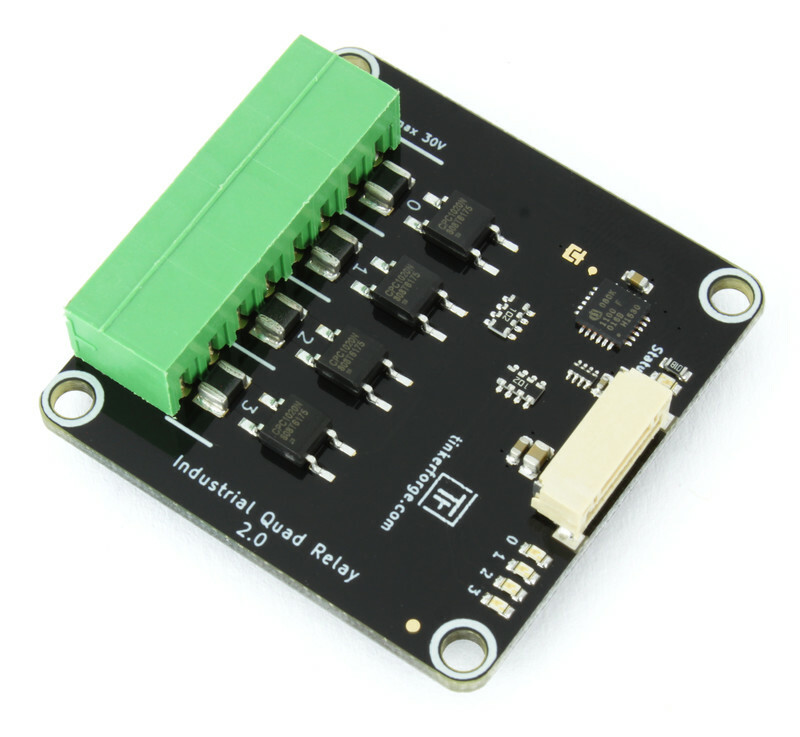 See the Programming Interface section for the API of the Industrial Quad Relay Bricklet 2.0 and examples in different programming languages. 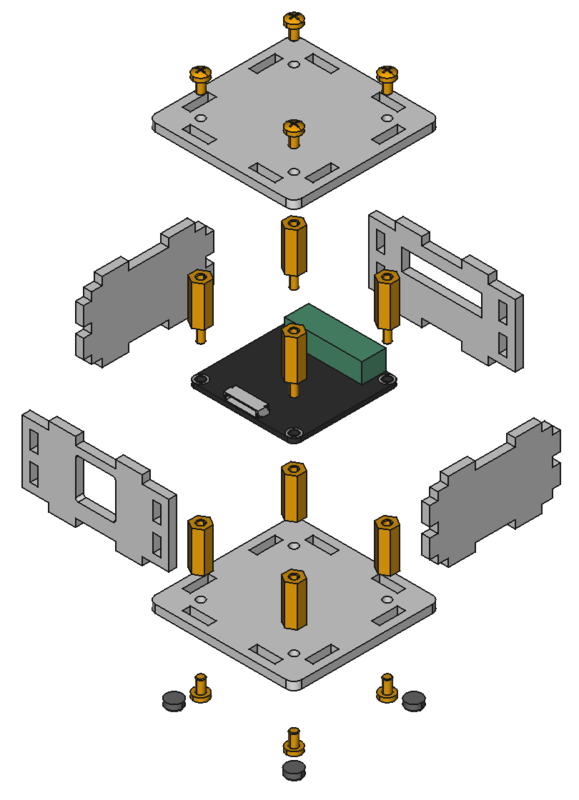 A laser-cut case for the Industrial Quad Relay Bricklet 2.0 is available.